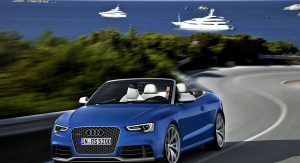 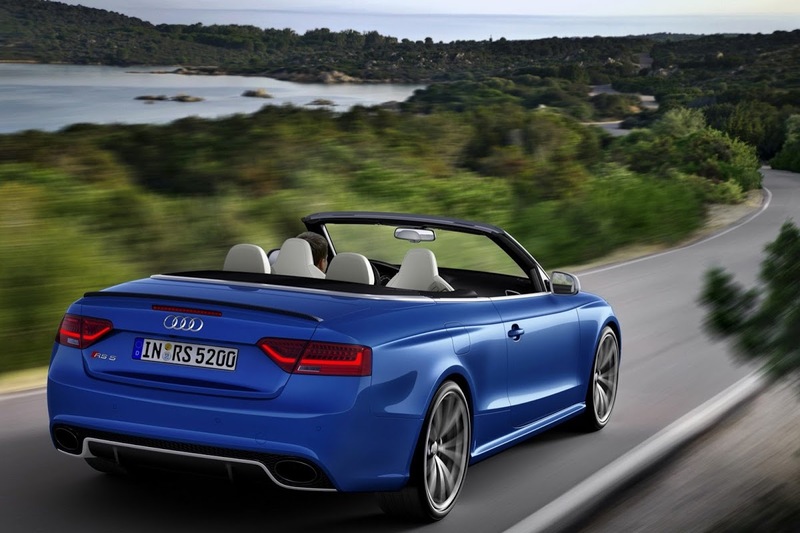 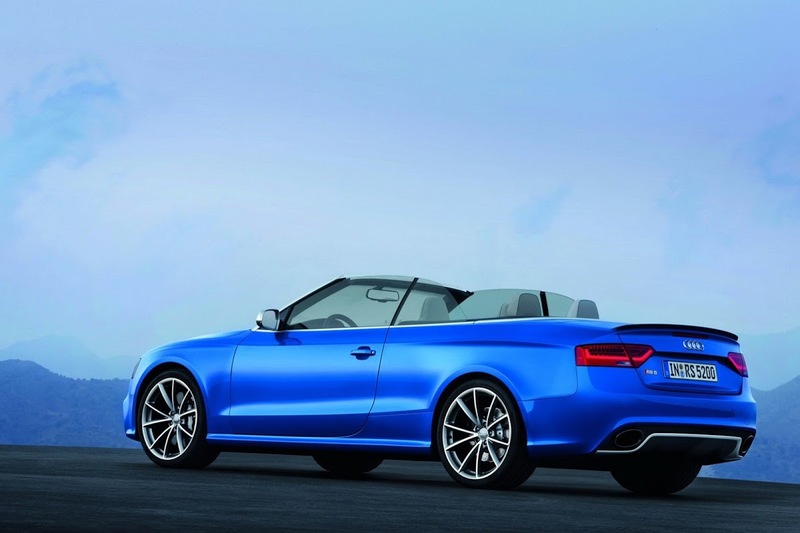 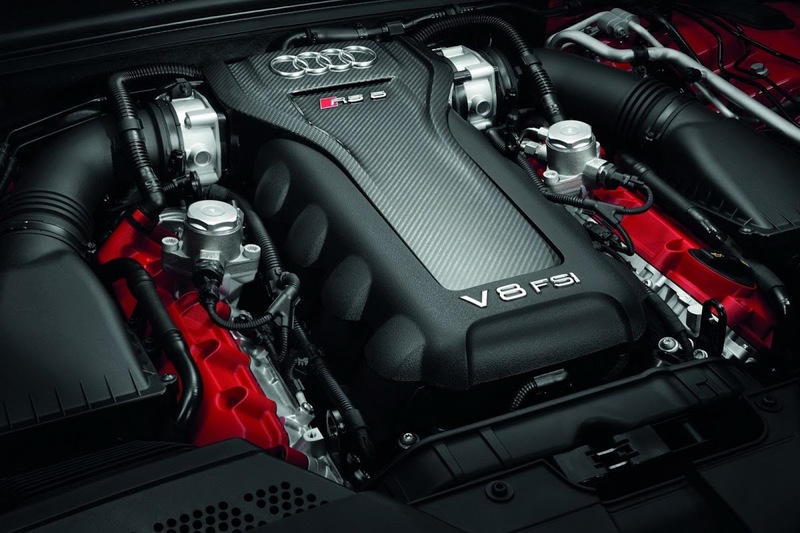 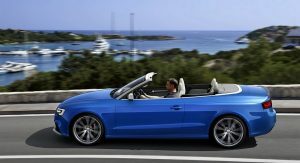 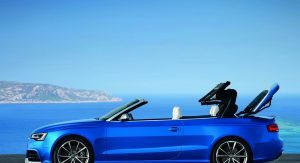 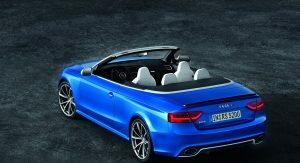 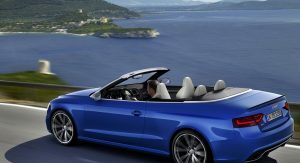 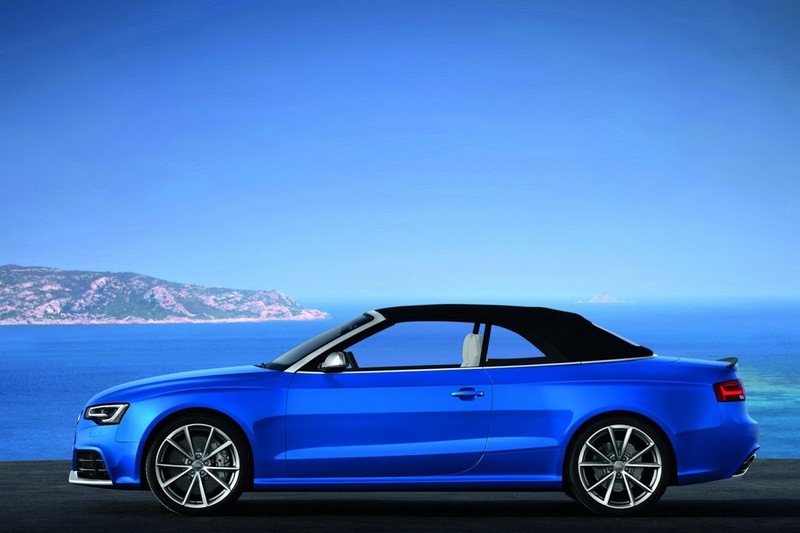 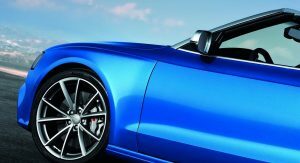 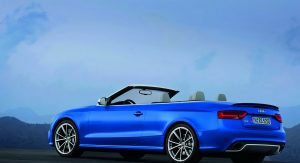 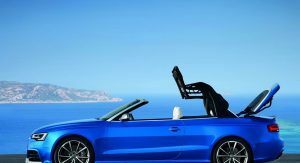 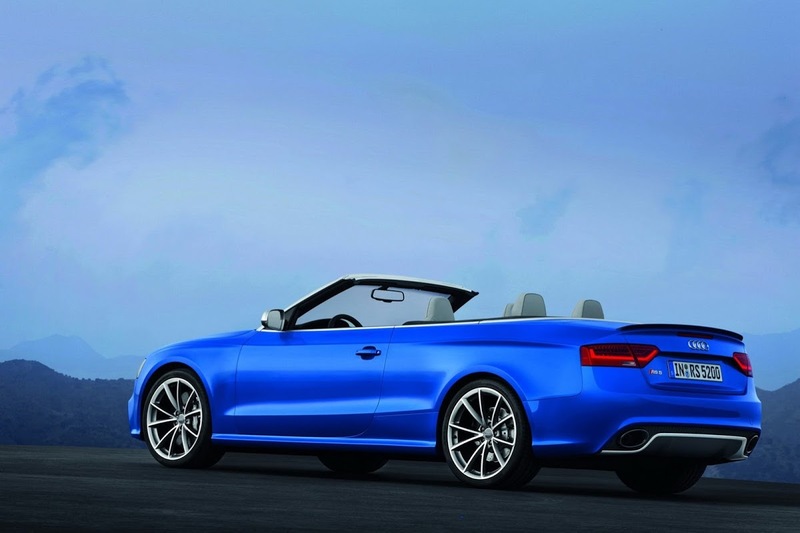 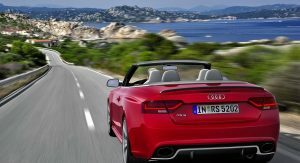 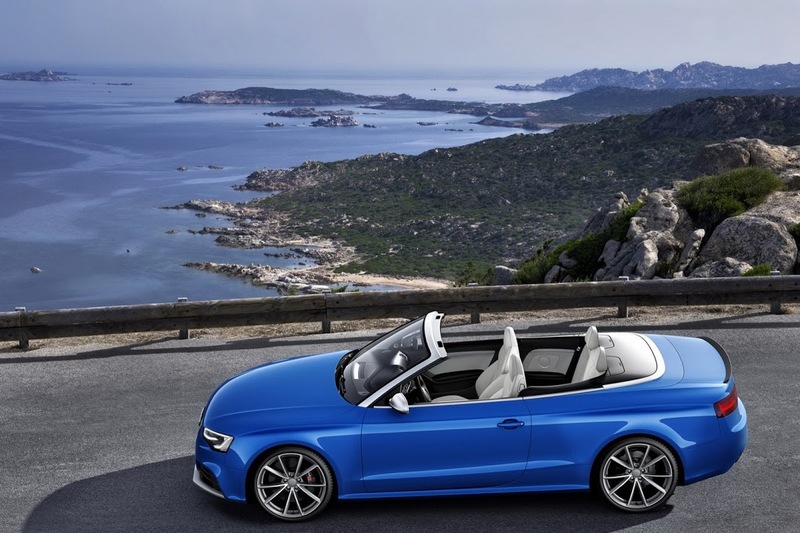 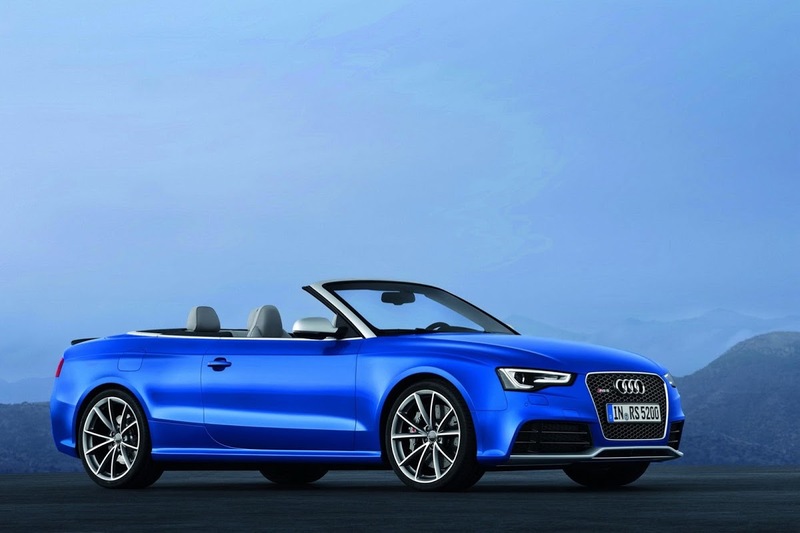 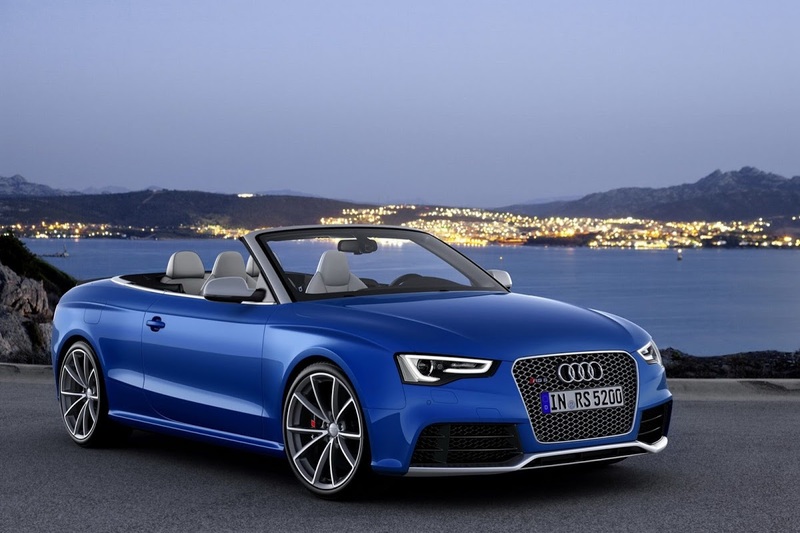 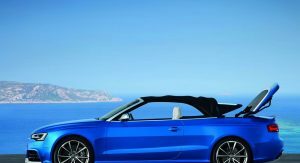 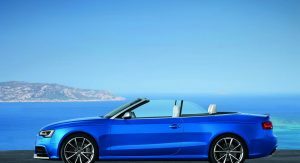 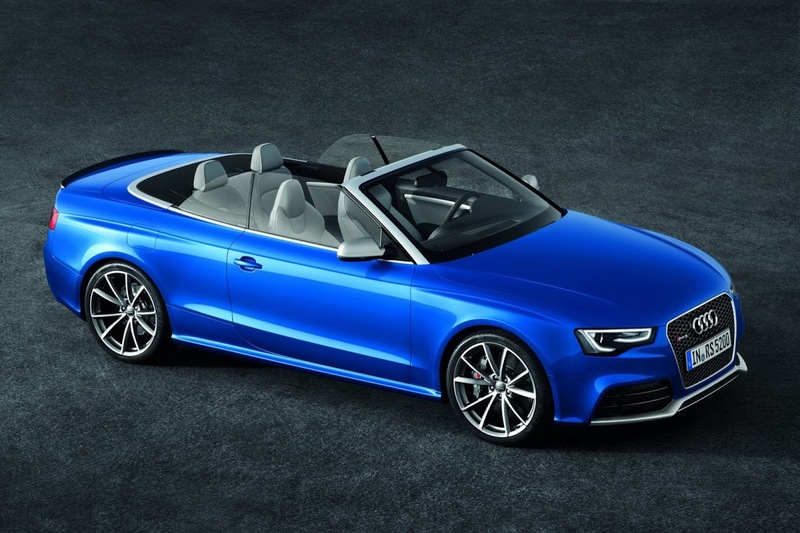 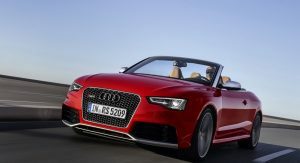 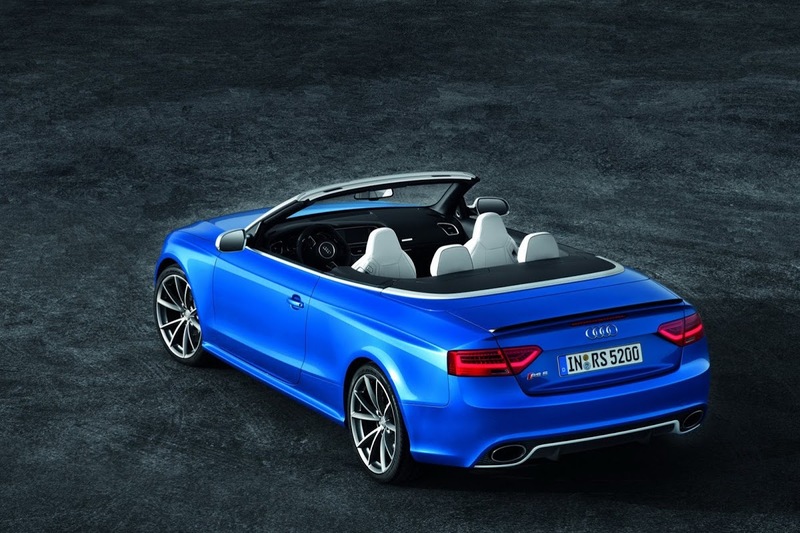 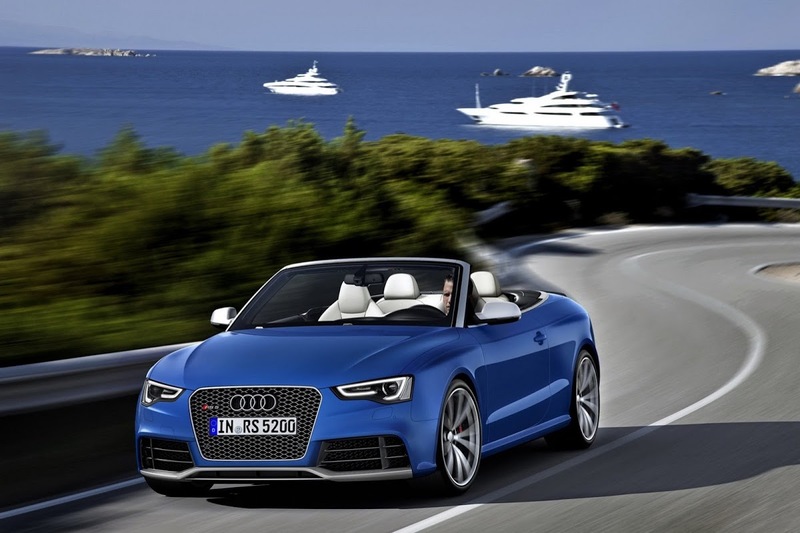 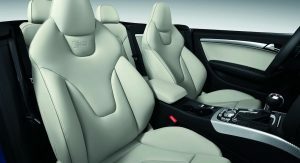 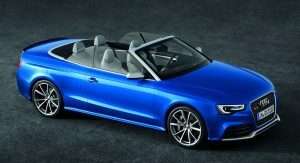 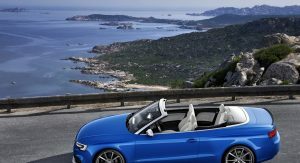 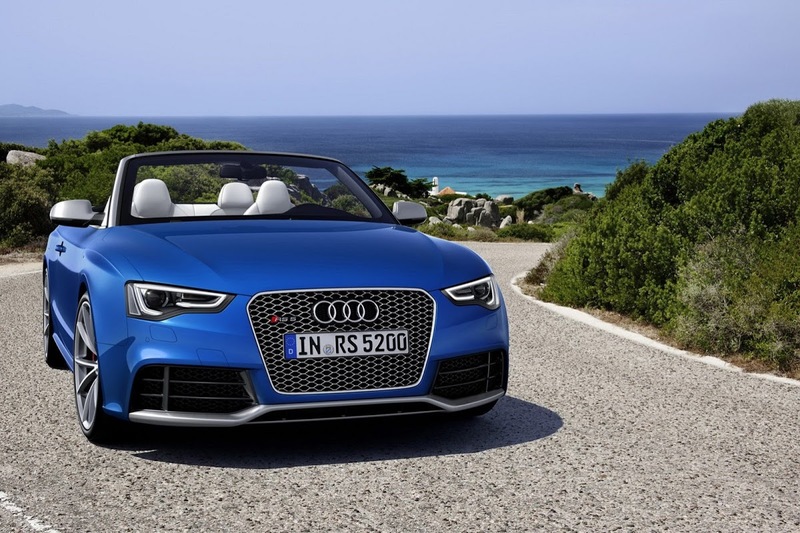 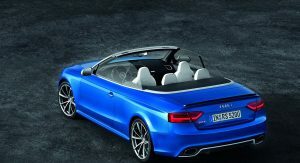 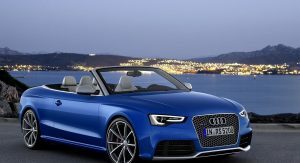 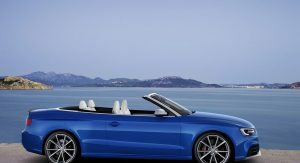 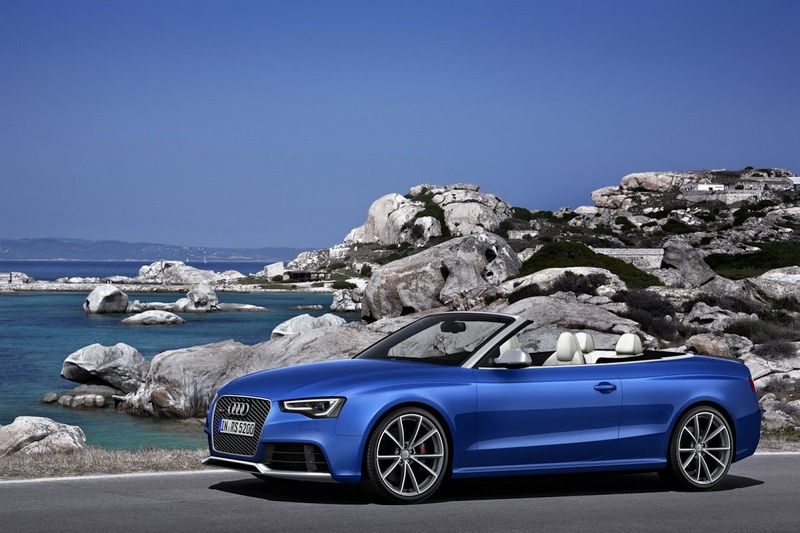 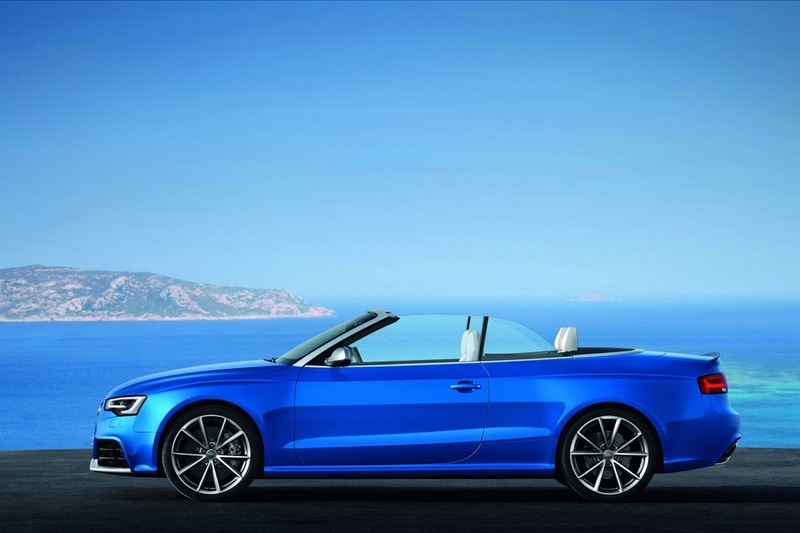 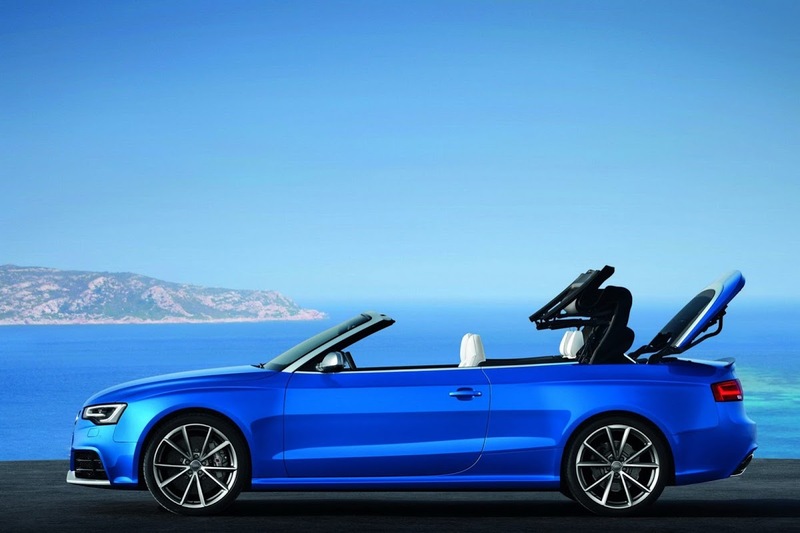 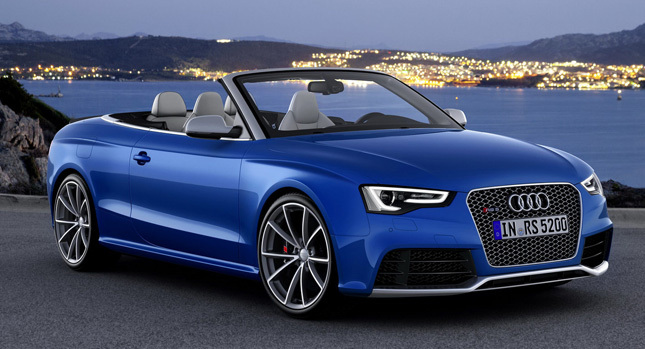 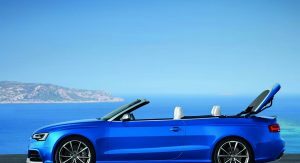 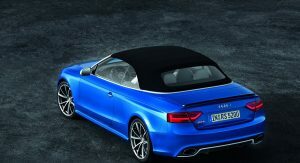 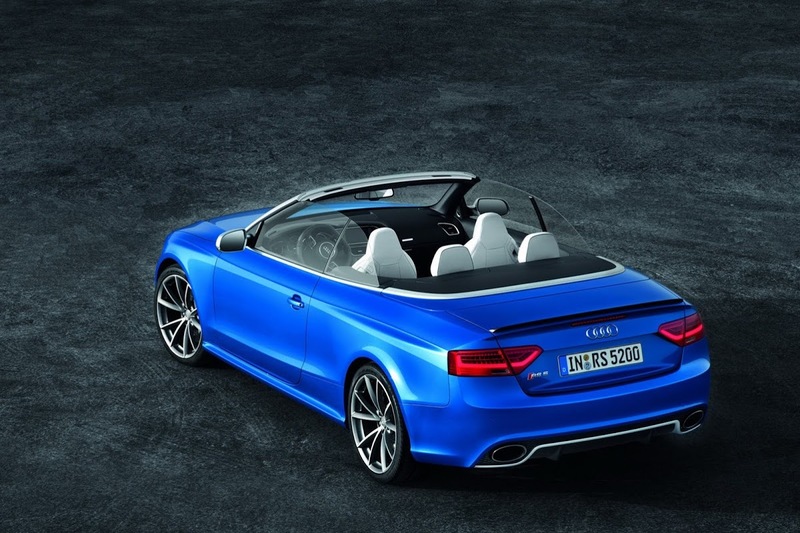 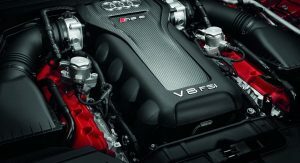 Audi is broadening its RS5 lineup in the United States with the presentation of the Cabriolet model that goes on sale in April 2013 priced from $77,900, or $9,000 more than the Coupe variant, with which it shares its 4.2 liter naturally-aspirated V8 engine pushing out 444hp (450PS) at 8,250 rpm and a maximum torque of 317 lb.-ft. between 4,000 and 6,000 rpm. 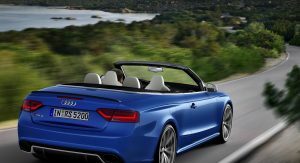 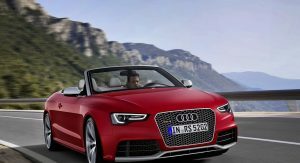 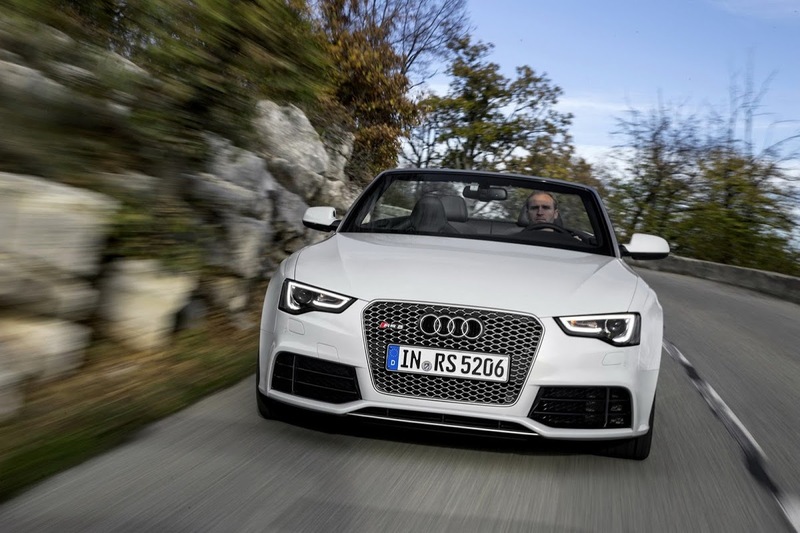 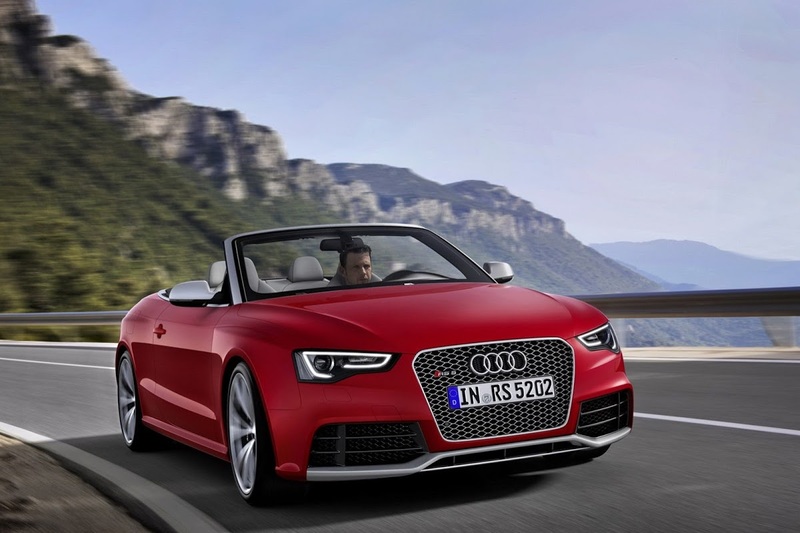 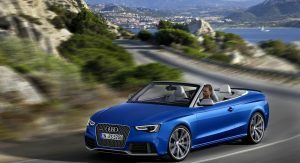 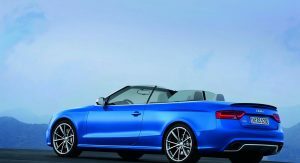 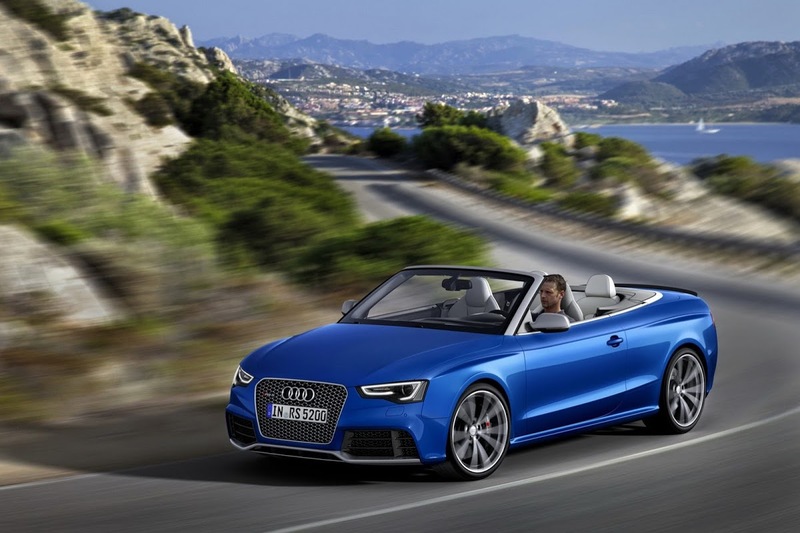 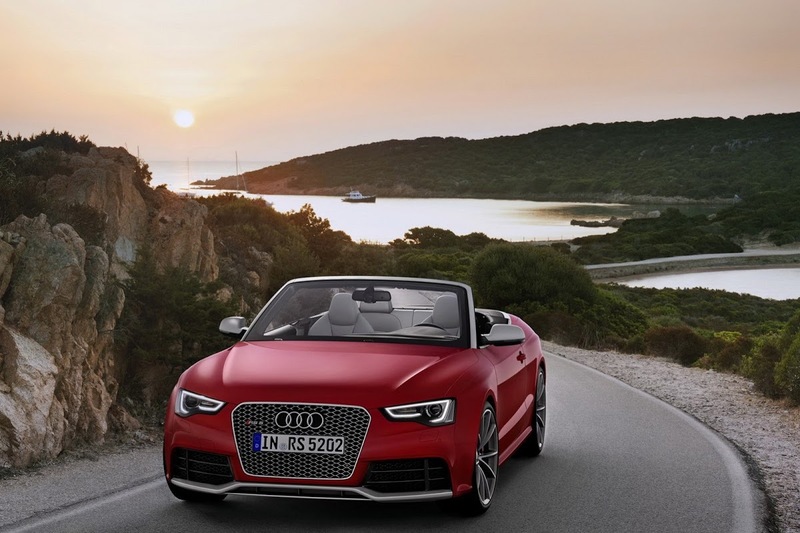 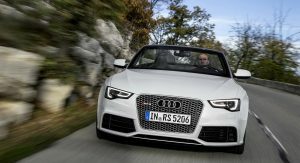 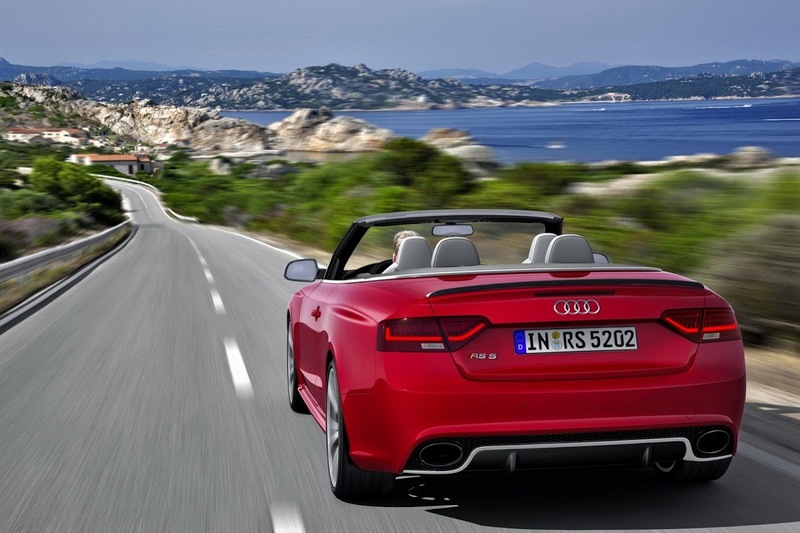 Fitted with a standard seven-speed double clutch S tronic transmission with launch control and quattro all-wheel drive, the soft-top RS 5 Cabriolet dashes from 0 to 60mph (96km/h) in 4.9 seconds and has a limited top speed of 174mph (280km/h). 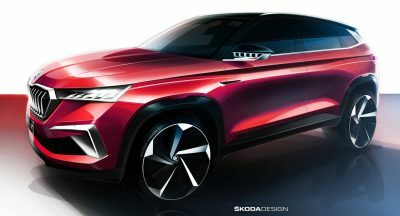 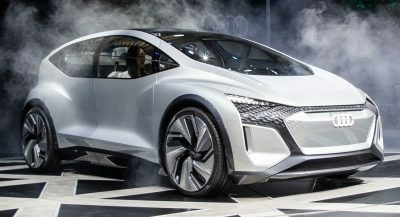 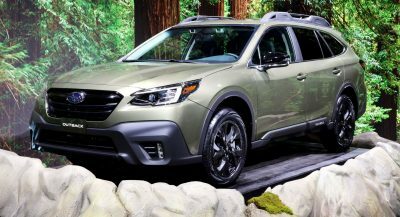 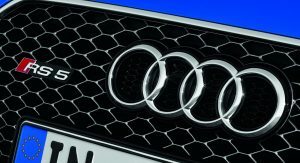 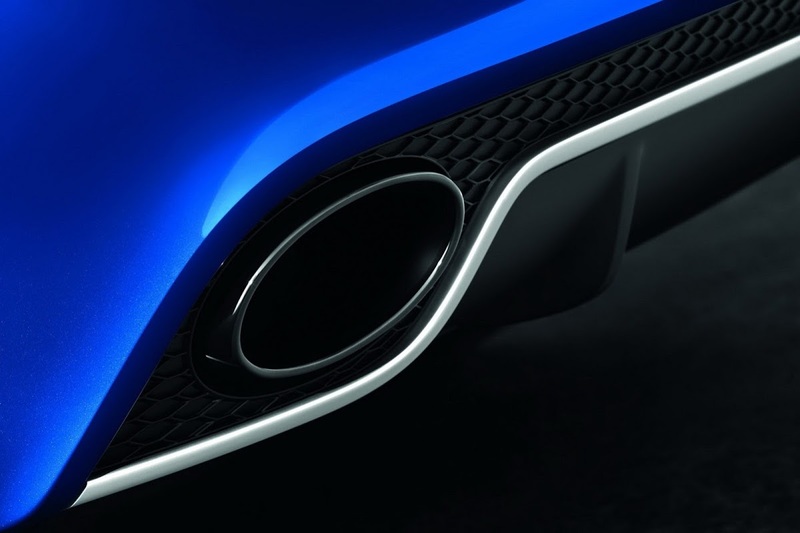 It returns an EPA estimated 16mpg city, 22mpg highway and 18 mpg combined, while according to Audi, it avoids the guzzler tax. 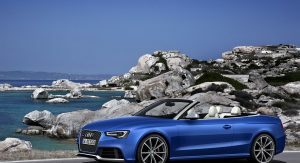 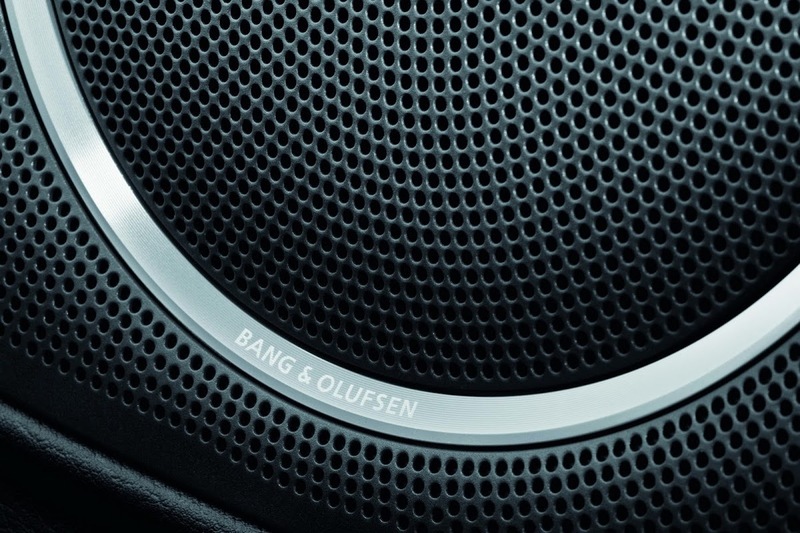 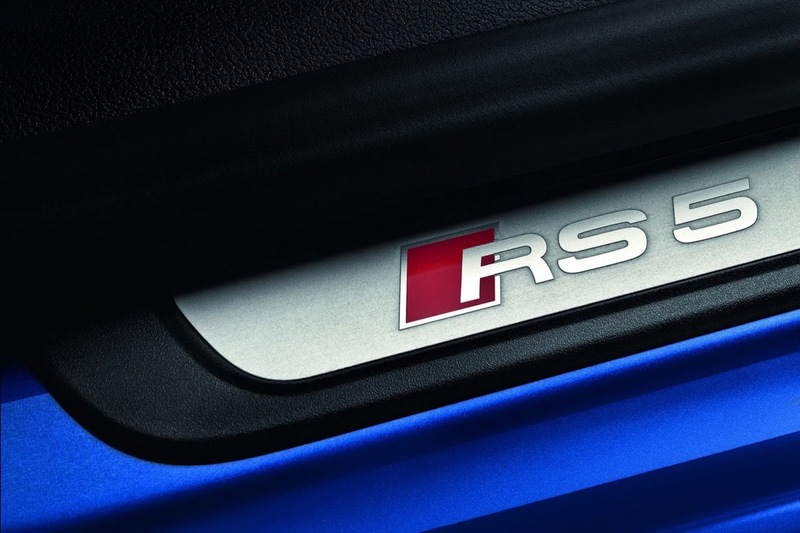 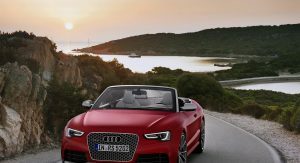 The RS5 convertible’s top opens and closes automatically at the press of a button in 15 seconds and 17 seconds respectively at speeds of up to 30 mph (48 km/h). 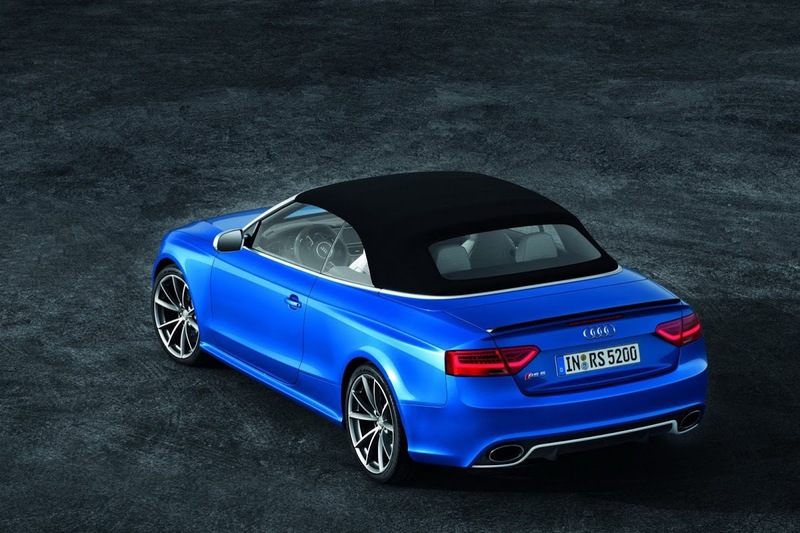 With the top down, it requires 2.12 cu-ft. of its 13.42 cu-ft. trunk volume. 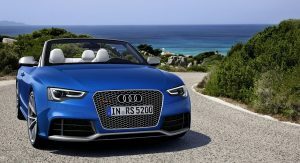 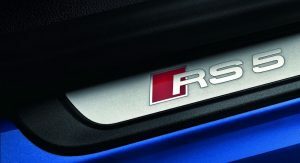 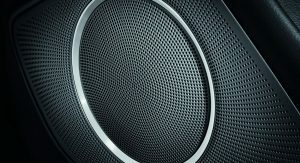 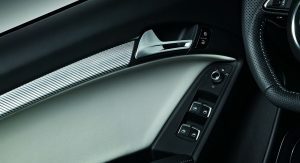 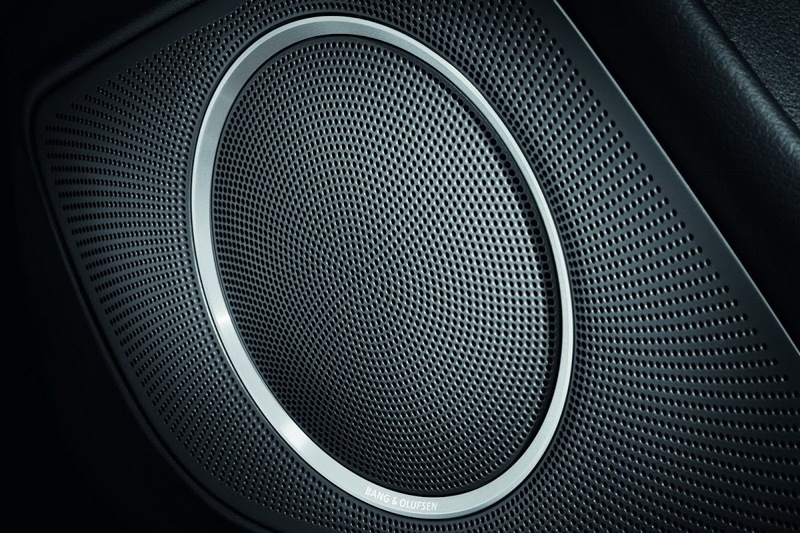 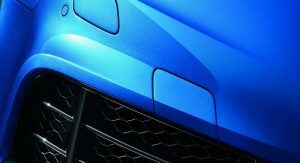 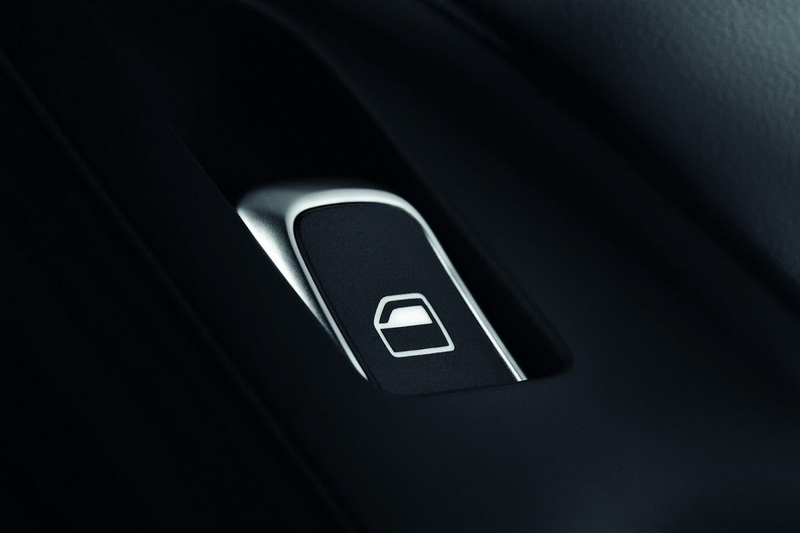 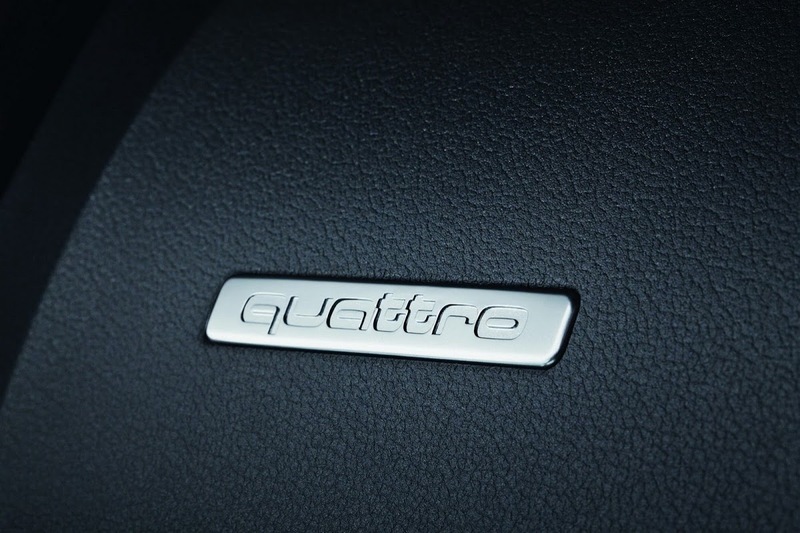 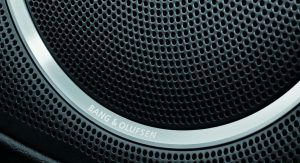 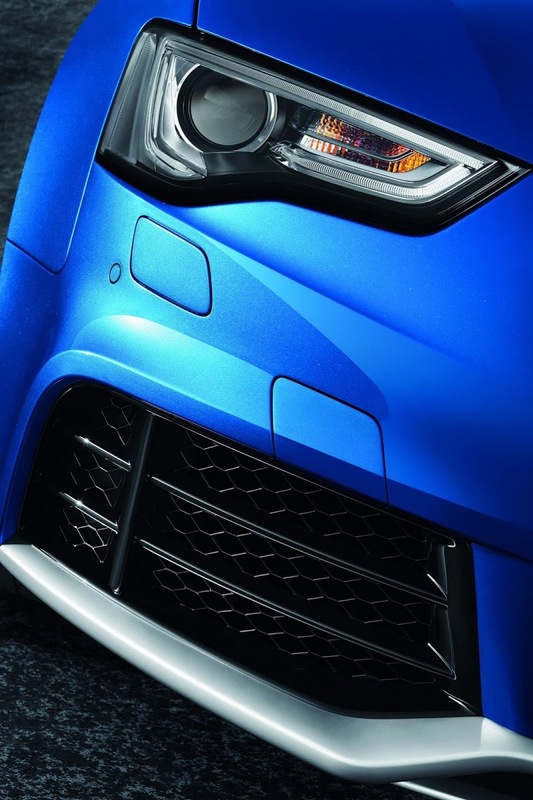 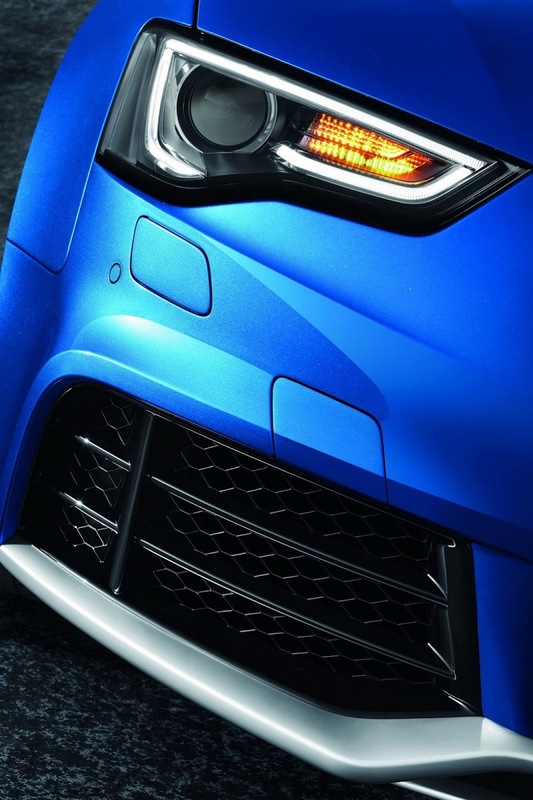 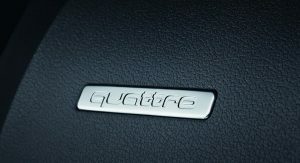 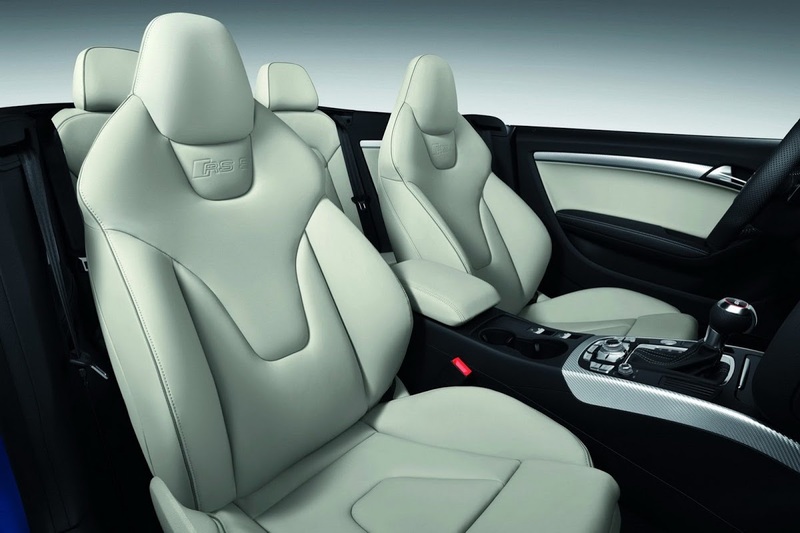 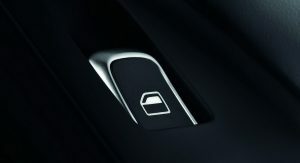 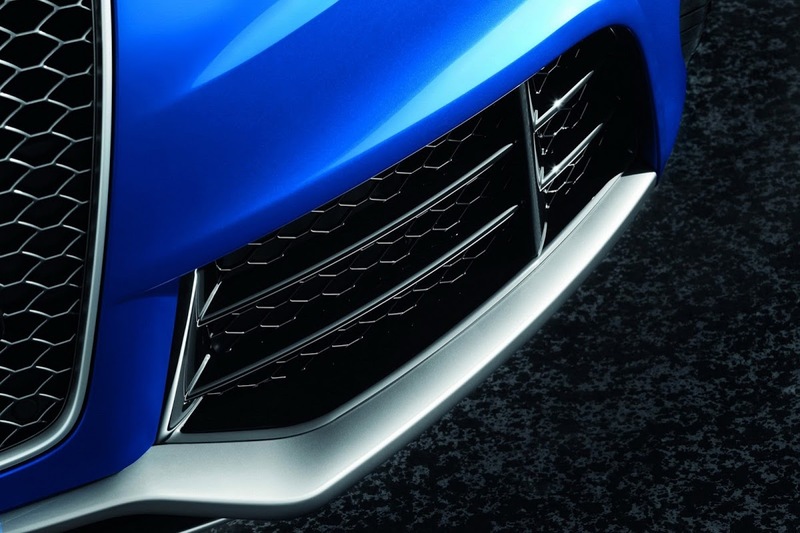 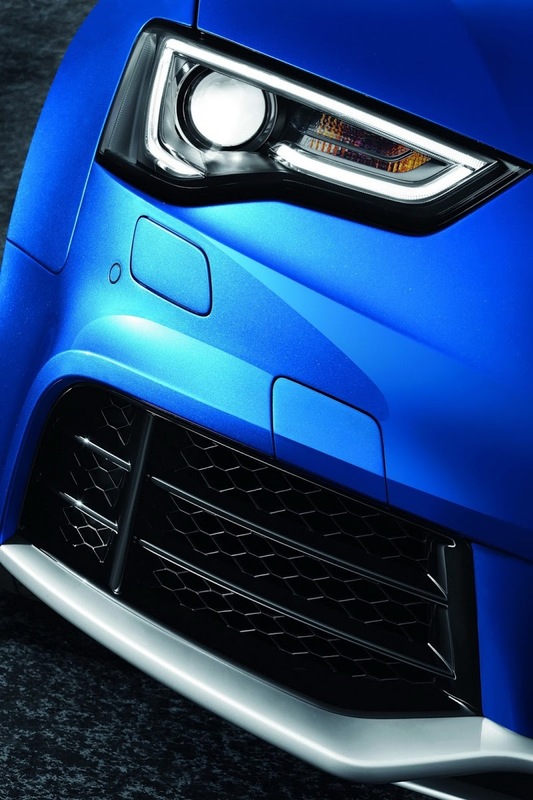 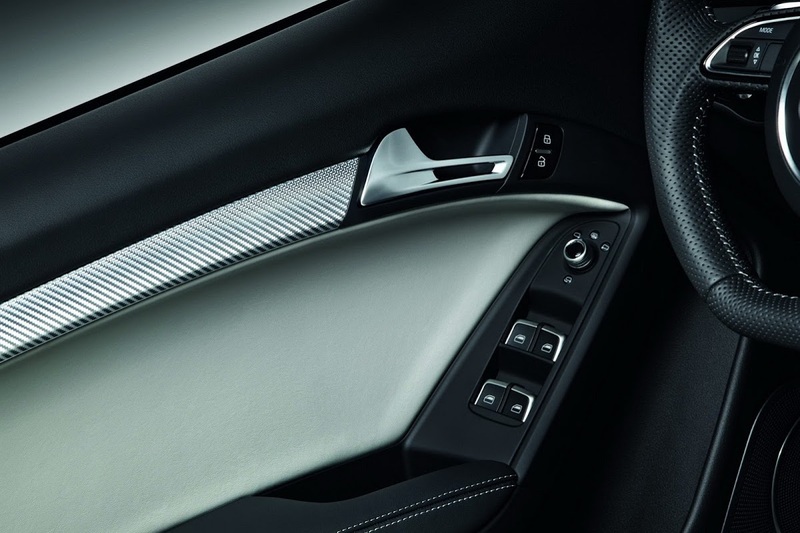 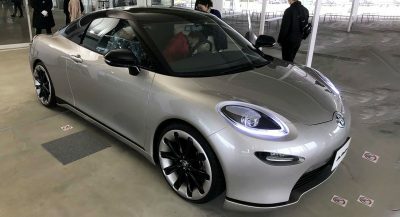 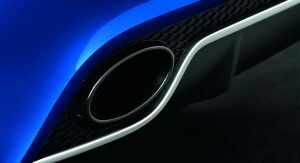 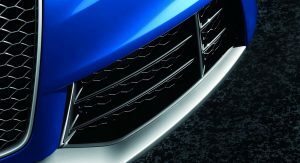 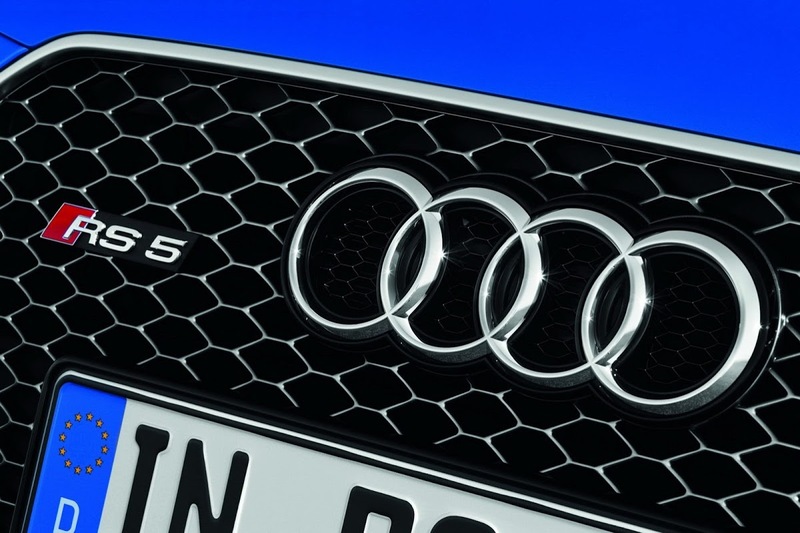 Aside from all the usual safety and comfort amenities one would expect from a car that costs nearly 80 grand, the RS5 Cabriolet also features standard LED light strips for the headlights and taillights, and black or lunar silver Fine Nappa leather, while optional equipment includes a combination of leather and Alcantara for the interior, and a standalone ceramic brakes package for the front rotors priced at $6,000.